Believe me, I am all for saving the whales. Not only are cetaceans intelligent, socially complex, and sentient beings but they are also important to the balance and health of the oceans and therefore, planet Earth. But when your idea of saving whales involves shooting sea gulls, you might have this whole conservation thing a bit wrong. According to Yahoo! News, an increased population of seagulls has led to increased attacks by the birds on southern right whales in Argentina’s waters. The gulls are swooping down to bite and claw the whales as they surface in order to get pieces of their blubber and skin. “It’s not just that the gulls are attacking the whales, but that they’re feeding from them, and this way of feeding is a habit that is growing and becoming more frequent. It really worries us because the damage they’re doing to the whales is multiplying, especially to infant whales that are born in these waters,” said Marcelo Bertellotti of the National Patagonia Center, a conservation agency funded by the government. 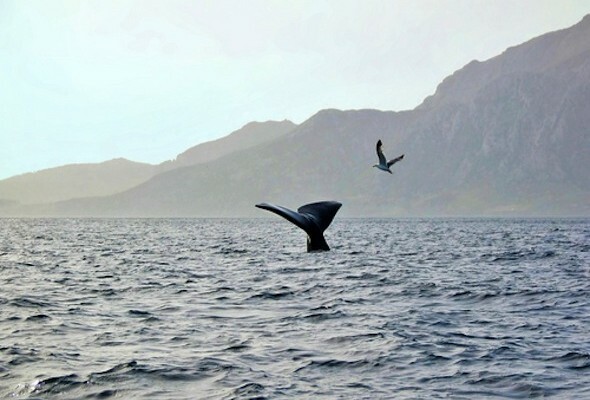 There is also concern that the bird’s behaviors are limiting the whale-watching industry in the area, as the whales becoming increasingly afraid to breach the water completely. Whale-watching brings in a lot of tourist money, as the right whales come to these waters to give birth each year. Bertelloti says the answer is to shoot and kill the birds, then remove their bodies and the ammunition from the ocean. 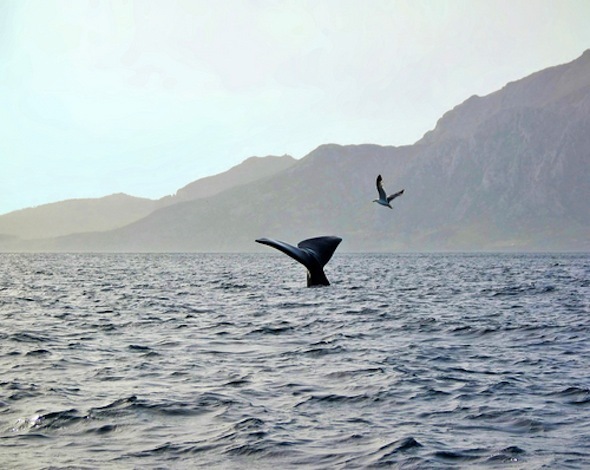 His “100-day Whale-Gull Action Plan” has already been approved by the government of the province of Chubut. “We are preparing a pilot plan that seeks to stop the damage from the gulls that pick at the flesh of the whales, because this is putting at risk the resource. It will be a minimal intervention to protect the life of the southern right whale and thus provide a response to the complaints of the sightseeing businesses that operate in the place,” said Gov. Martin Buzzi. Environmentalists argue that the seagull population has dramatically increased because of human actions, mostly because of excessive amounts of open-air garbage and fish parts discarded by fisherman. Chubut has refused requests for the government to better reduce, recycle or even contain garbage. Milko Schvartzman of Greenpeace says that the gull attacks on whales were rare as recently as eight years ago.